They told us it couldn't be done. We proved ourselves right. 40% thicker box. Imported tuck case material. Metallic. Embossed. 909 Finish. Q1 Quality. 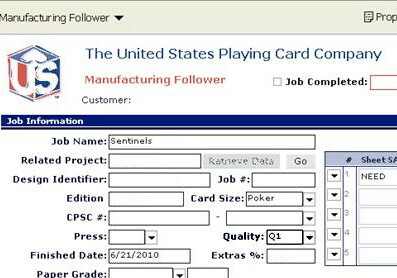 Printed exclusively in Q1 quality on the casino web press at the United States Playing Card Company, under strict supervision from senior press technicians. They've been called "the world's finest deck of cards."